Dave’s the marketing genius. Sam’s the lead-designer. Together, we are a killer creative team. We are a special kind of creative firm. Small and mighty. Two brains, two complementary skill sets, 30+ years industry experience, endless creative ideas. We keep our client list short and our overheads low. You have our attention and dedication without waiting for days and our full-service thinking without any heart-stopping prices. There are no middle men, no account handlers, no long commutes, no swanky offices just our two creative brains working hard for your business in a place we’re happy to call home. We have both spent time working at large agencies, boutique firms and as independent freelancers and know that the best creative work comes from us understanding your business, your market and your goals. It’s not just about pretty pictures. By combining our creative thinking with strategic reasoning we deliver so much more than design for designs sake. What we do fits into your business plans and gets real business results. Our small size and extensive experience are our killer selling points. We have more resources, skills and experience that a freelancer but deliver a more personal and cost-effective service than an agency. We are the best of both worlds. We love working with clients who have big ambitions, know the importance of good design and are as passionate as we are. We believe in working with you not for you, making each project a team effort – you bring the knowledge of your business and we bring our marketing and design expertise. We develop strong, trusting, long-term relationships with our clients and are proud of our track record helping many businesses like yours to increase market share, revenue and profits, and look good doing it. From strategy through creative to delivery we provide a full-service solution to your business design and marketing needs. We can help with creative ways to launch a new product, design a new brand identity, develop a strategic marketing plan to help grow your business or devise an advertising campaign. Or perhaps you need to keep your business at the forefront of customer’s minds through powerful websites, inspiring events, effective email marketing and beautiful catalogues, brochures and product literature. Whatever your requirements we offer friendly, honest, imaginative marketing support and design services to help your business. 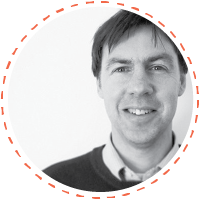 David has over 20 years experience in the marketing industry, plus a background in Management, Marketing and Economics so he understands the big picture of your business and how marketing really matters to the bottom line. In David’s varied career he has worked for design and marketing agencies looking after clients from local councils to luxury brands. He has helped them with everything from experiential campaigns and launch events to direct mail and website development. David’s experience working for advertising agencies has also seen him planning and buying media for national and international companies. David has a techy streak too and has manged IT and technology networks, created UI and app designs and integrated cutting-edge technology into many campaigns and events. Self confessed brightly-coloured designer nerd Sam has been building, creating and designing smart solutions for businesses for over 15 years. 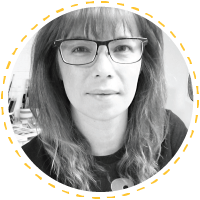 She knows there is more to design than pretty pictures – you need a cost effective solution that works hard for you and your business – so Sam takes the time to really understand your objectives before laying out a pixel or drop of ink! In a career that has spanned both freelance and agency life, Sam has been involved in all areas of design from branding and corporate identity to brochures, websites and advertising campaigns. She has worked for a huge range of companies from car manufacturers, educational establishments and technology companies to start-ups and local small businesses. Sam is also a published illustrator and online retailer. If your requirements fall outside our immediate skill sets then we can put together a specialist team designed especially for your job. We use a roster of some of the best developers, event suppliers and specialists on the planet and only work with people we trust so you can be sure of the same high Awemous standards. We are always in charge of the creative and manage the outside suppliers for you. So whether your job needs a animation specialist, an event wizard or the most techy technology expert, we can find them and get the best out of them for you. We’re always looking for amazing developers, illustrators, photographers, stylists, film makers, animators and events people. If you’d like to get on our freelance rosta list, just drop us an email with a link to your portfolio or website.